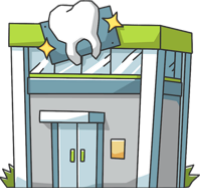 These are the most common insurances accepted by Dentists in Cincinnati, OH. LOVE Dr. Hein and her staff!!! They have saved me twice now when I was in extreme pain! Painless root canal and they are all extremely pleasant and fun and KIND! Thank you!! . Dr Hunter and the hygienist that works with her are awesome. The same can't be said for the rude people at the front - especially the manager, she is by far the rudest person I have ever come across in the healthcare industry. Such an uncaring person should not work with people.. Very clean facility. The staff is always very nice and pleasant. Would highly recommend.. I went to Dr. Megan Weisenberger originally at practice that she had been working for. She had recently open her own practice in Mt. Lookout. I don’t mind the long drive because she is an awesome dentist. I would recommend her to anyone that is need of dentist..
Weisenberger Dental is a wonderful office! They are timely, kind and very knowledgeable! The Dr. and her staff do an amazing job and I actually can't wait to go back for my next cleaning!. Followed Dr Weisenberger to her new office. I trust her completely. Love her new space and team..